With a mild climate and outdoor living a part of everyday life, water features in the garden, or on the patio or balcony add a touch of relaxation to outdoor living in Sydney and NSW. Interested in how to install a garden pond… we tell you how. One of the best ways to add interest to any garden is to install a water feature. Water has been used in landscaping for centuries to add a sense of tranquility through movement and reflection. Traditional fountains and contemporary styles water features all have a place. So if you live by Sydney Harbour, in the Blue Mountains or in outer Sydney you can find a water feature to suit your needs. Ideas for water features include incorporating the beauty of natural stone into a swimming pool, this idea was presented at the Melbourne Flower and Garden show in 2011. Many of the shelf, simple and cheaper to install designs can be found in nurseries across Sydney that will not break the budget. Where do Sydneysiders like to locate water features ? Close to the outdoor living area or within view of indoor living areas is a popular option. This helps create that tranquil feeling both outdoors and indoors, especially at night with a little feature lighting. And of course in the garden, sometimes tucked away as a little surprise. Although with a few basic handyman skills the water feature itself is easy enough for many a Sydneysider to install many water features, it is the connection of the pump to mains power that takes some consideration. One way around this issue is to look at solar powered pumps, although not as versatile they are easier to install. Water Features Sydney and NSW. Looking for a water feature for the garden. 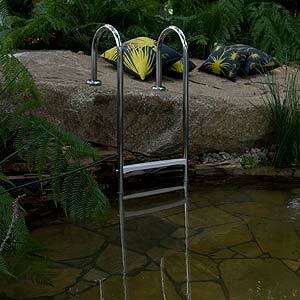 Fountains, Ponds, Garden Statues, Sculpture, Garden Ornaments, Pumps, Pond Liners, Garden Lights, Garden ornaments. We can help you find the water feature you are looking for, our directory can guide you in your search for a Garden water feature, Indoor, Outdoor, Fountain, Pool, Stainless steel, or Glass water feature . We can also help you find designers experienced in water feature design, both commercial contemporary and traditional water features. Water Gardens Nursery specialising in Water Plants, Statues, Water Features, Elegant Pots, Bird Baths, Fiberglass and PVC Ponds, Pumps, Pond Liners.